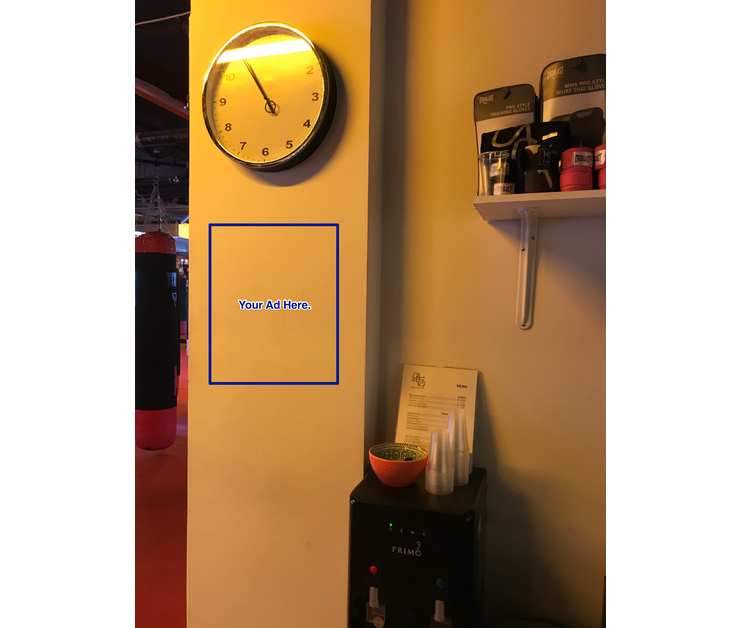 This ad space location is right at the entrance of the club, right below the only clock in the space, so every client and visitor will see this ad. We will post a letter sized ad here and the purchase price is for a week of display. 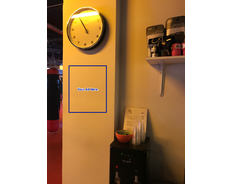 This is the boxing studio where people come to work out and learn self defense. The Cage offers a variety of group and personal training classes based on the concepts of Kickboxing, Muay Thai and BootCamp. This intense and always original training will guarantee your best results for body toning, stress relief and health strengthening. Under the instruction of experienced, professional fighters and certified trainers, the classes are designed to accommodate members of all different skills and fitness levels. The Cage is located on the mezzanine floor of 1060 Brickell Ave, one of the most unique and luxury buildings of the area. There you may find the French bakery La Provence and EatGreek. The building is located in front of FIU and JW Marriott. It's a one-block walk from Mary Brickell Village and adjacent to People Mover and Metrorail station. We offer free valet to all our clients.